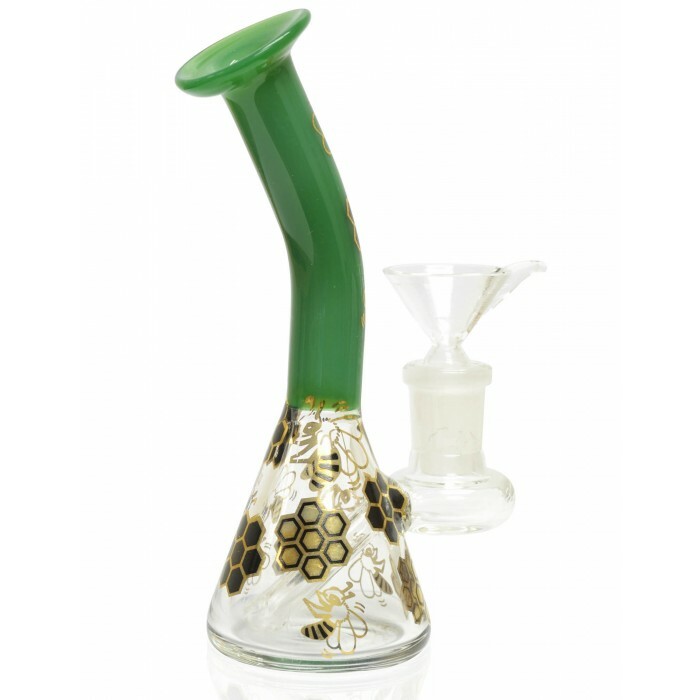 5" Holographic Golden Honeycomb Water Pipe - Green -The Greatest Online Smoke Shop! Outstanding and creative honeycomb puck bubbler design. 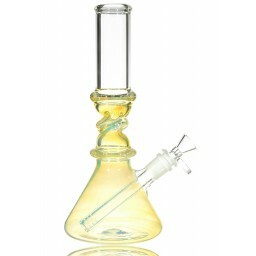 This is a mini water pipe that stands 5” inches tall and has a water chamber that is 2” wide. Features an array of tattoo-like imagery all over the water chamber giving it a whole bunch of personality and different style. 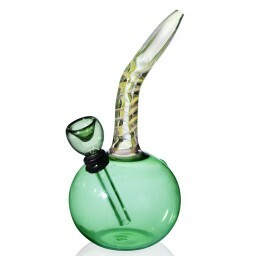 This bubbler comes with a 14mm female joint and a matching 14mm dry herb bowl.  Outstanding and creative Golden Honeycomb puck bubbler design. This is a mini water pipe that stands out. 5” inches tall and has a water chamber that is 2" wide. Features an array of tattoo-like imagery all over the water chamber giving it a whole bunch of personality and style. 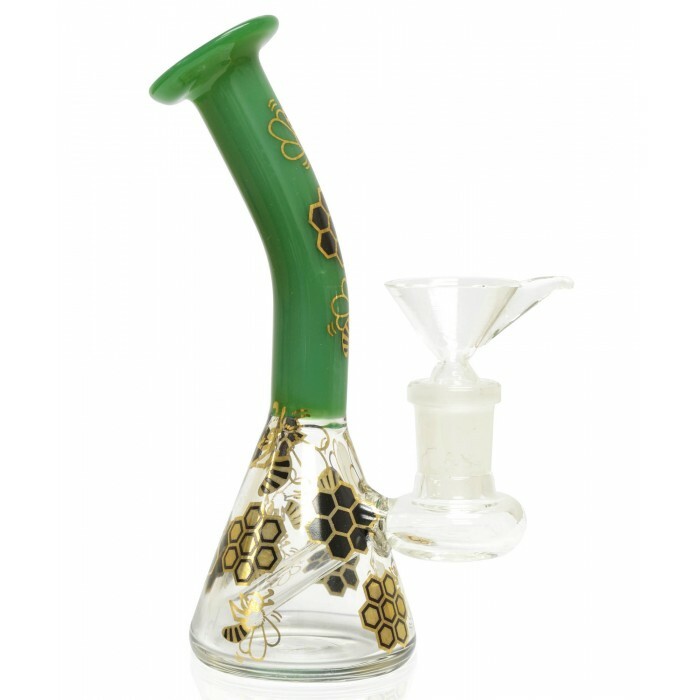 This water pipe is designed in a golden honeycomb puck shape, an outstanding and must have bubbler for any glass pipe collectors. Water pipe’s come in all shapes and sizes, but this one is one for the books. It has a 2” wide water chamber, rounded and squared off just like a honeycomb. It stands just 5” tall, not the tallest for a bubbler but it’s powerful and mighty. 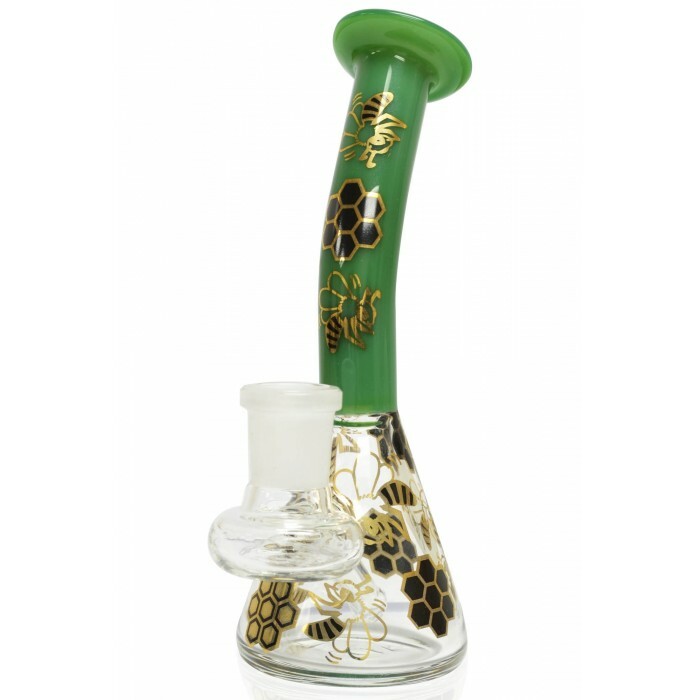 The glassblowers designed this piece with a bunch of images of golden holographic honeycomb, It’s a mini water pipe that perfectly combines style with usability. Despite its unique shape, this piece is easy to carry around so you can have a delicious water filtered smoke session from anywhere you’d like. The dark blue color scheme tops it all off, giving this piece and icy and mean look. Design and color may slightly vary !! 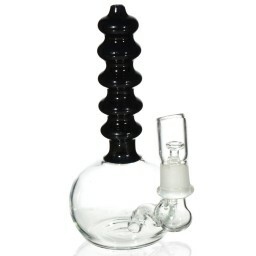 This is one of the most unique looking bubblers you can add to any collection!